Discover our Monday to Sunday gold plated earrings ideas! Gold plated earrings are the type of jewelry that you will have countless versions of. Scratch that, should have countless versions of. 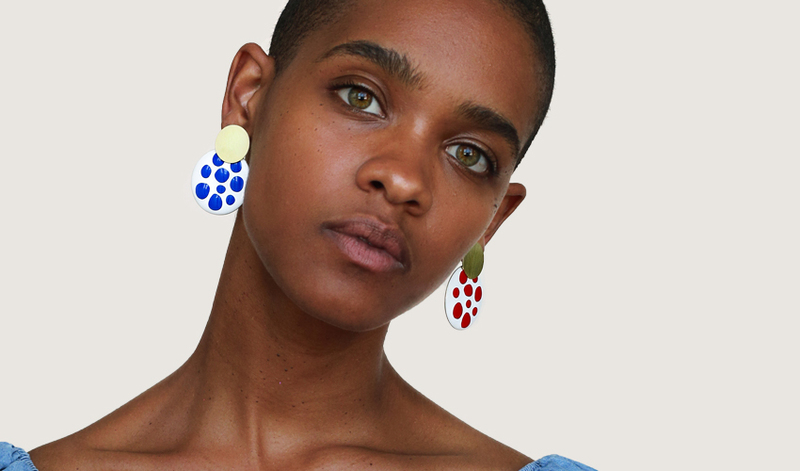 If you’re like us, then you’ll spot a new earring design that you absolutely must have, daily. Most of the times we aren’t even looking for earring inspiration but it finds us. Thank you, Instagram models! And we’ve never felt guilty about the new pair of earrings either. If you recognize yourself in this then it is time to embrace the trend and buy fashion earrings. We will prove it to you. 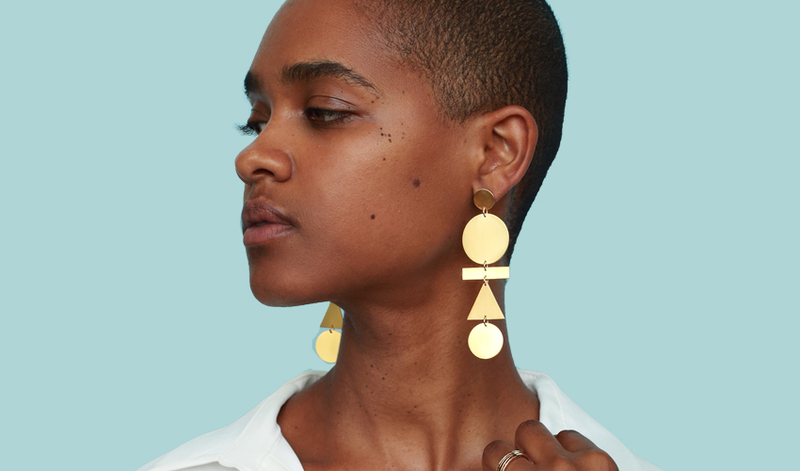 Get your earring inspiration with our gold plated picks for each day of the week. Mondays can be hectic but starting your day right will give your whole week a great kick start. Dress to impress on Monday with a pair of gold plated drop earrings. You’ll be raking in the compliments. If you are going to work then keep it sleek with geometric shapes like circles and triangles. Wear a pair that just reaches your jawline. You’ll have time to go bigger over the course of the week. Gold hoop earrings will never fail you. They are a jewelry box staple piece that will never ever go out of style. On Tuesday, wear a functional pair of gold plated earrings. Choose a medium sized hoop with one interesting detail. For example, paved clear stones or a twisted hoop earring. You can also go unorthodox and wear hoop earrings that are not technically hoops. Octagons, squares or ovals, they all work. As long as the earring loops around, we will count it as a hoop earring. 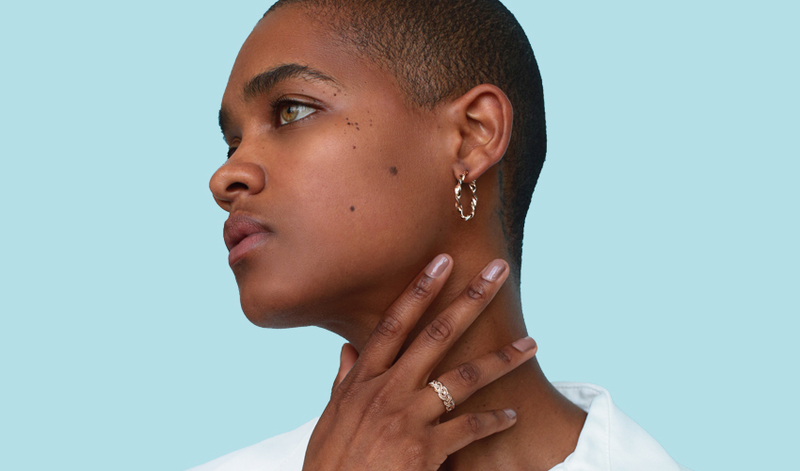 Work your way through hump day with a creeper earring. This edgy design for gold plated earrings is that little detail that makes your outfit look fab. You don’t need to have a second piercing for this style, either. There are plenty of designs with either a clip or where only one fastening is necessary. To add a bit of chic to the coolness, choose a design with clear stones. Colored gemstones are making their comeback this year. The trend is to mix and match different colored stones. Lucky you, gold plated earrings just so happen to be a perfect canvas for these colors. You are free to choose the earring style for Thursday. The only thing we are looking for is that whimsical combination of colored semi-precious stones. Fridays are for trying something new. The perfect way to kick off your weekend is with a surprise. Either wear a mismatched pair of gold plated earrings or go all in and wear a single statement piece earring. For the mismatched pair, try to have the two earrings still correspond with each other. Choose a recurring shape in both earrings like a flower stud and a threader earring with a flower at the bottom. For the single statement piece choose a classic design but wear the oversized version. Examples are a shoulder touching hoop, a drop earring with a million gold leafs and a thick bar earring that drops below your jawline. On Saturday, we are toning down the gold plated earrings a little. We want you to be able to take full advantage of your day with a functional pair. On Saturday we’d like to see you wear gold plated huggies. Huggies are the little sister of hoop earrings. This is a cute and small earring design that works especially well with feminine styles. You can add a bit of sparkle with a semi-precious stone or pearl detail on the earrings. On Sunday, you can let out your inner diva with the most fabulous gold plated earrings design, the chandelier earrings. Schedule in some quality time with friends with a Sunday brunch and let your earrings be the conversation starter. You can continue the trend of mixed colored gemstones in the chandelier earrings. You can also match an earring detail to a detail in your outfit. Wear a dress that you feel comfortable in but still makes you look like a goddess. Those big and beautiful gold plated earrings deserve a diva moment. The week is already up. Time goes fast when you are looking amazing. These were our seven different gold plated earrings ideas for each day of the week. Do you understand now why we never regret getting a new pair of earrings? You can never have enough. Read on for more inspiration on gold jewelry pieces or for more earring design ideas. And since we know you’ve already fallen in love with some of the designs in this article, you can check them out at Ana Luisa online jewelry shop. 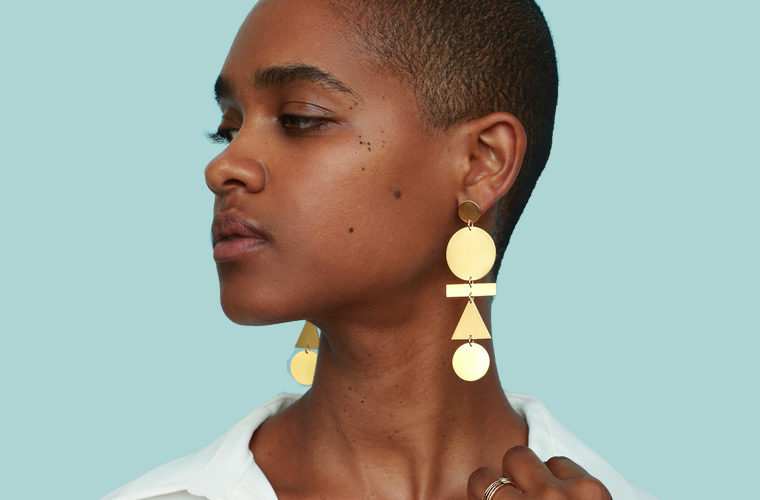 Get your pair of unique designer earrings from Ana Luisa!